Electric Bikes – Busting the Myths. Expensive? Not reliable? Heavy? Cheating? Poor range? No. Not any more. You get what you pay for. 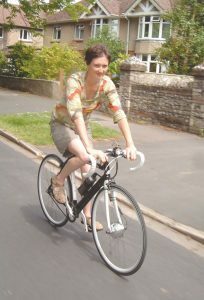 Really good electric bikes with decent size and decent quality batteries start at around £1700. This may seem like a lot but such a bike will take you easily and enjoyably over a distance not practical (or at best extremely tiring) for most cyclists on a non-electric. All parts will be decent quality so ongoing maintenance costs will be minimal. For this money you are getting an immensely practical machine that is hugely enjoyable to ride. Get one from a longstanding company such as 50 cycles or Cytronex and you can be confident of a bike that will power you along for many, many years to come. It’s worth noting Cytronex still use the unfashionable NiMH batteries (most bikes use lithium batteries these days) but NiMH are much longer lasting and cheaper to replace. Although range is less, kilo for kilo, take a spare battery with you and Cytronex models should achieve 40-50 miles – adequate for most people. 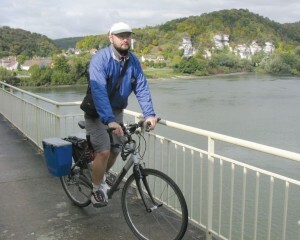 If you are really worried about battery replacement costs but want a fast, efficient electric bike they are a good bet. This may be the case with cheaper models but German and Japanese designed models featuring motor systems from household names such as Bosch and Panasonic have proved extremely reliable. Indeed both systems are so robust they come in mountain biking versions too, designed for full-on off-road use. Indeed, Electric Mountain Bikes specialise in such machines. All the better companies should offer a 2 year guarantee on the battery – check this is the case before purchase. The lighter models come in at around 20kg with the very lightest from companies such as Cytronex starting at just 12.7kg. In what sense? You still get as much or as little exercise on an electric bike as you want (all have some kind of variable power control) so it’s still a healthy activity and will get you as fit as riding a non electric if you so choose – you’ll just go further with the same amount of effort. They are comparatively green too, using only a fraction of the energy used by cars and most mopeds and motorbikes. Today’s biggest batteries are capable of breaking the 50 mile barrier on a single charge when coupled with an efficient bike. This is not based on unreproduceable lab tests done for PR purposes but on real world tests by independent third parties. 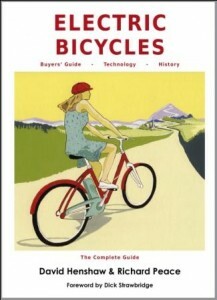 As a cycling author I’ve used electric bikes for many years and find them a real boon.If you want to learn more Electric Bicycles, the book, is packed with info and colour photos and diagrams.